The fifth edition of the Champions League Twenty20 kicks-off on Tuesday with Pakistan’s Faisalabad Wolves taking on Otago Volts of New Zealand in the first qualifying match. Eight teams have made it to the main draw, while two out of four will make it from the qualifying round. IPL champions Mumbai Indians and Chennai Super Kings are the teams to beat, especially in home conditions, but they can expect a stiff challenge from the likes of South Africa’s T20 champions Highveld Lions and Australia’s T20 winners Brisbane Heat. Mumbai Indians start as one of the favourites, having won their maiden IPL title earlier this year. Their batting is extremely strong, as was witnessed in the sixth edition of the T20 extravaganza. 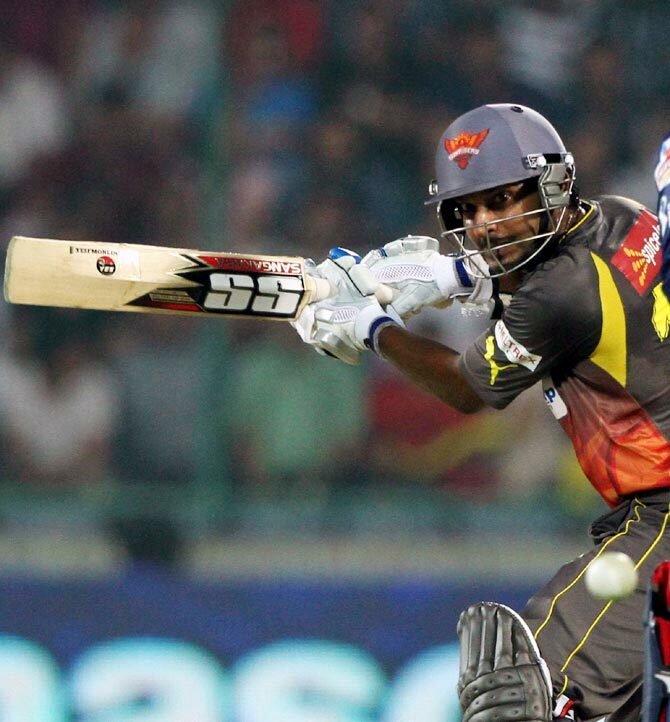 The likes of Rohit Sharma, Dinesh Karthik and the dashing Kieron Pollard are capable of winning matches on their own. The bowling also looks world-class with the presence of several top international bowlers, like pacer Mitchell Johnson, and spinners Pragyan Ojha and Harbhajan Singh. Mumbai are high on confidence, having won CLT20 the last time the tournament was held in India, in 2011. Glenn Maxwell did not get many chances in the last edition of the IPL but he is the one to watch out for as he has the ability to play some fiery innings. 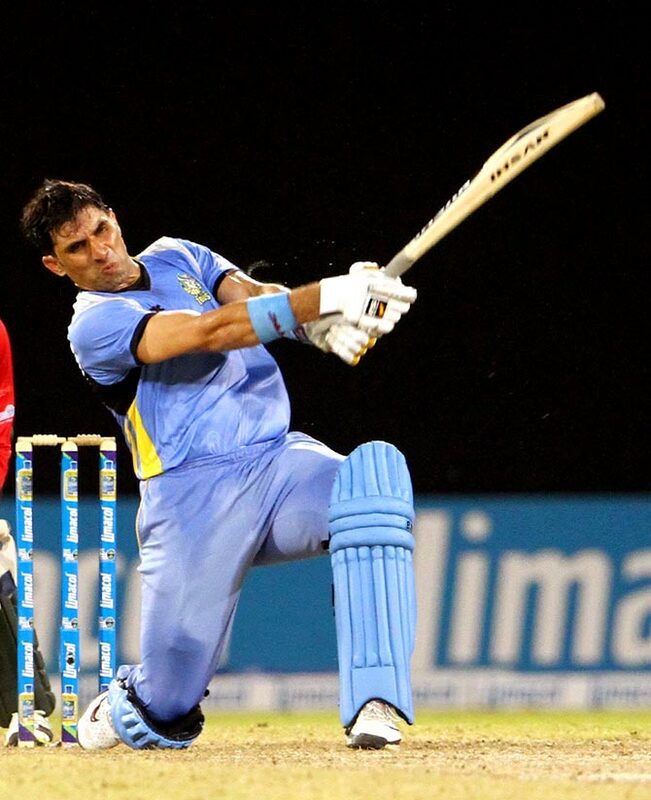 Veteran Sachin Tendulkar will be keen to end his T20 career on a high, with some good knocks at the top of the order. Squad: Rohit Sharma (captain), Sachin Tendulkar, Dinesh Karthik, Harbhajan Singh, Pragyan Ojha, Ambati Rayudu, Aditya Tare, Rishi Dhawan, Abu Nechim Ahmed, Akshar Patel, Kieron Pollard, Dwayne Smith, Nathan Coulter-Nile, Mitchell Johnson, Glen Maxwell. A mere glance at the Chennai Super Kings squad is enough to scare the daylights out of any opponent. 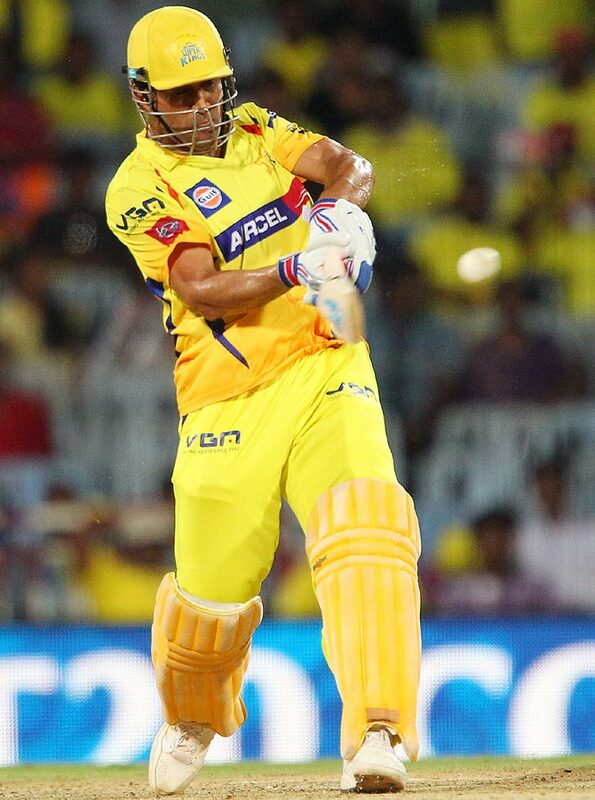 Led by Mahendra Singh Dhoni, Chennai boast of a host of match-winners in Suresh Raina, R Ashwin, Ravindra Jadeja, Michael Hussey, Dwayne Bravo, Albie Morkel and Francois du Plessis. Young Mohit Sharma showed his prowess with the ball in IPL 6, while Chris Morris has made giant strides for South Africa in international cricket after impressing for Chennai Super Kings. Squad: Mahendra Singh Dhoni (captain), Suresh Raina, Murali Vijay, Wriddhiman Saha, R Ashwin, S Badrinath, Imtiyaz Ahmad, Ravindra Jadeja, Mohit Sharma, Michael Hussey, Dwayne Bravo, Albie Morkel, Jason Holder, Francois Du Plessis, Chris Morris. Rajasthan Royals will be keen to get back to winning ways and rid themselves of the controversies that haunted them in IPL 6, leading to a couple of their players being recently banned for spot-fixing. Shantakumaran Sreesanth and Ankeet Chavan’s banning has certainly weakened the team, but count on Rahul Dravid to come up with something special and motivating his boys. Against expectations, they made it to the last four stage of IPL 6 and few will bet against them doing the same in CLT20. Australian all-rounder Shane Watson holds the key to the team's hopes. Royals will be hoping he can deliver with both bat and ball. Much will be expected from Ajinkya Rahane too. His is looking to score some runs and send a timely reminder to the selectors, while the likes of Stuart Binny, Sanju Samson and Ashok Menaria are gutsy performers. James Faulkner was a revelation for Rajasthan last year and will aim to continue his good bowling form, while Brad Hodge will be looking to bring his experience into play. Kevon Cooper and Rahul Shukla are the other two exciting names in Royals’ line-up. Squad: Rahul Dravid (captain), Ajinkya Rahane, Stuart Binny, Sanju Samson, Ashok Menaria, Dishant Yagnik, Vikramjeet Malik, Rahul Shukla, Pravin Tambe, Shane Watson, Brad Hodge, James Faulkner, Kevon Cooper, Shaun Tait. Clubs from Down Under have two of the four CLT20 editions so far. And Simon Katich will strive to maintain that record as he leads a strong Perth Scorchers' line-up. Shaun Marsh and Adam Voges are currently plying their wares for Australia and will look to bring their good form into the tournament, while left-arm spinner Ashton Agar's sensational Ashes debut will make him one of the players to watch out for this year. 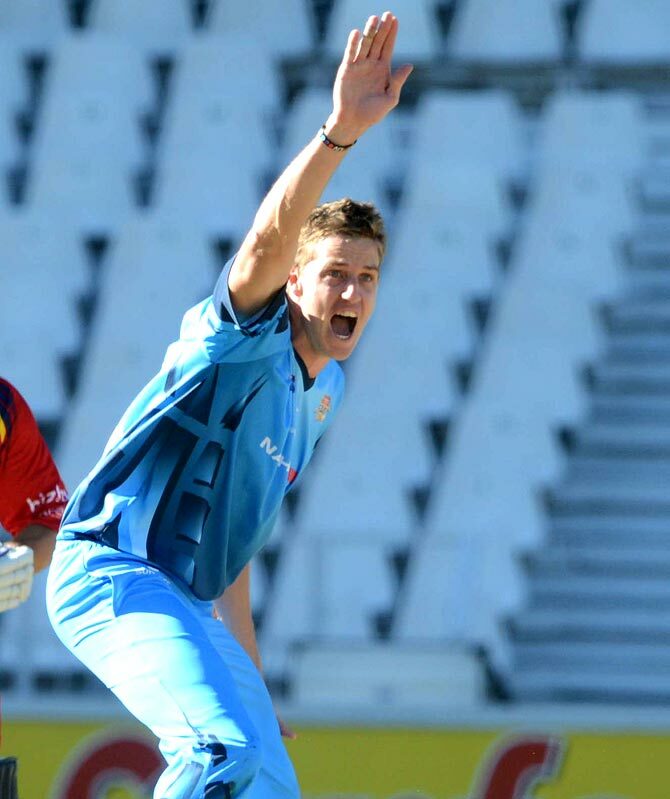 Bradd Hogg, 42, is still a handy bowler in T20 cricket and the same can be said of South African pacer Alfonso Thomas, who has the experience of playing all around the world and a tally of 193 T20 games under his belt. They lost in the final of the Big Bash League in the last two years and are looking to win their first major T20 title. Squad: Simon Katich (captain), Ashton Agar, Michael Beer, Jason Behrendorff, Ashton Turner, Liam Davis, Brad Hogg, Burt Cockley, Hilton Cartwright, Shaun Marsh, Joel Paris, Alfonso Thomas, Tom Triffitt, Adam Voges, Sam Whiteman. 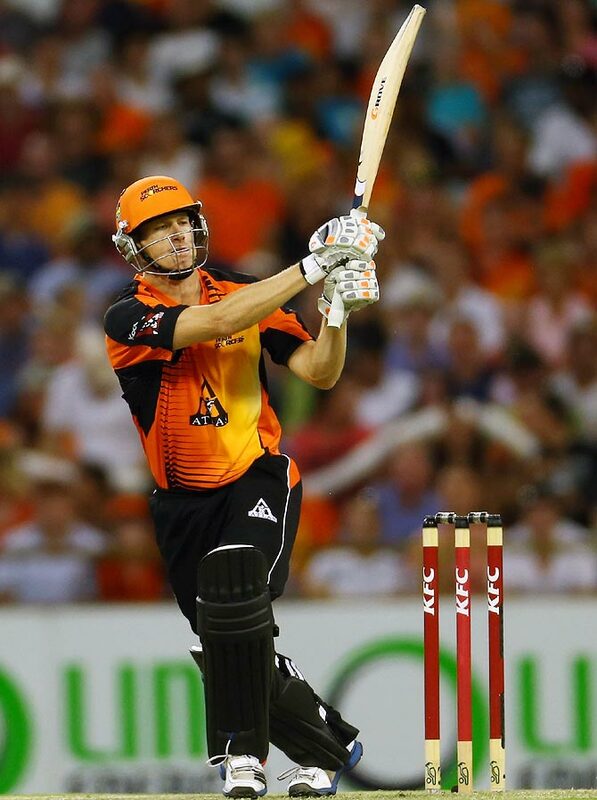 Brisbane Heat are high on confidence going into CLT20, having won the Australian Big Bash League. They boast of a good, balanced team, led by former Australian all-rounder James Hopes, while Dan Christian is a very effective player with both bat and ball in this form of the game. West Indies pacer Kemar Roach can be a real threat with his extra pace, while off-spinner Nathan Hauritz will relish the Indian conditions. They may not boast of superstars but certainly have the players to make a difference in the T20 format. Squad: James Hopes (captain), Joe Burns, Dan Christian, Ben Cutting, Peter Forrest, Dominic Michael, Chris Hartley, Nathan Hauritz, Matthew Gale, Chris Lynn, Alister McDermott, Cameron Gannon, Brad Ipson, Kemar Roach, Chris Sabburg. 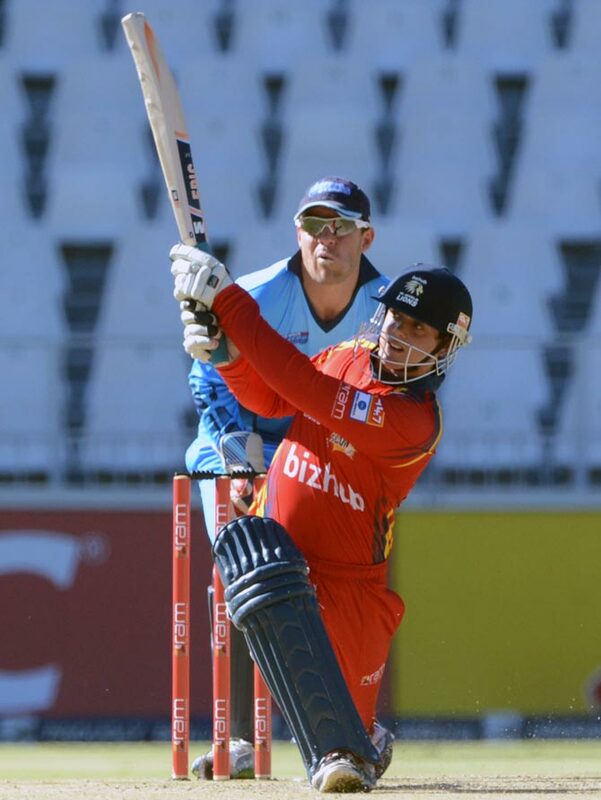 South Africa’s T20 champions Highveld Lions is another fancied team. Led by the dashing Alviro Peterson, Lions are a well-knit unit. 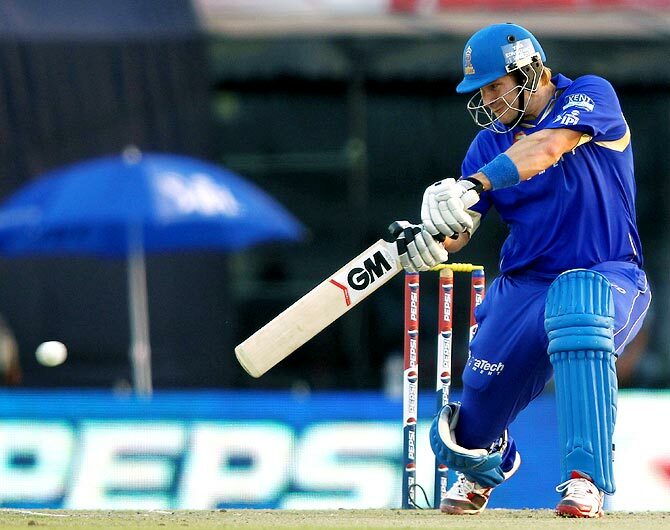 Quinton de Kock is an exciting prospect at the top of the order, while veteran Neil McKenzie is a handy batsman. Lonwabo Tsotsobe, Imran Tahir and Aaron Phangiso have the experience of international cricketer and form a potent bowling line-up. Squad: Alviro Petersen (captain), Temba Bavuma, Gulam Bodi, Quinton de Kock, Neil McKenzie, Lonwabo Tsotsobe, Ethan O'Reilly, Hardus Viljoen, Rassie VC Dussen, Aaron Phangiso, Dwaine Pretorius, Jean Symes, Imran Tahir, Sohail Tanveer, Thami Tsolekile. South Africa's Titans, led by veteran Jacques Rudolph, should not be discounted. AB de Villiers has been one of the top batsmen in the IPL over the years for Royal Challengers Bangalore and Titans will be looking to him for inspiration. Jacques Rudolph and Farhaan Behardien have the skills to do well in Indian conditions. The bowling is heavy on pace, with the likes of Morne Morkel, Marchant de Lange and CJ de Villiers in the team, and they could prove handy if the pitches offer some assistance. Squad: Jacques Rudolph (captain), Henry Davids, AB de Villiers, Farhaan Behardien, Heino Kuhn, David Wiese, Eden Links, Ethy Mbhalati, Rowan Richards, Mangaliso Mosehle, CJ de Villiers, Graeme van Buuren, Morne Morkel, Roelof van der Merwe, Marchant de Lange. Trinidad and Tobago became famous in India on the back of their catchy performances in the inaugural edition of the CLT20, in 2009. This year they got a direct entry into the main rounds of the tournament after the organisers considered their good showing in the previous editions. 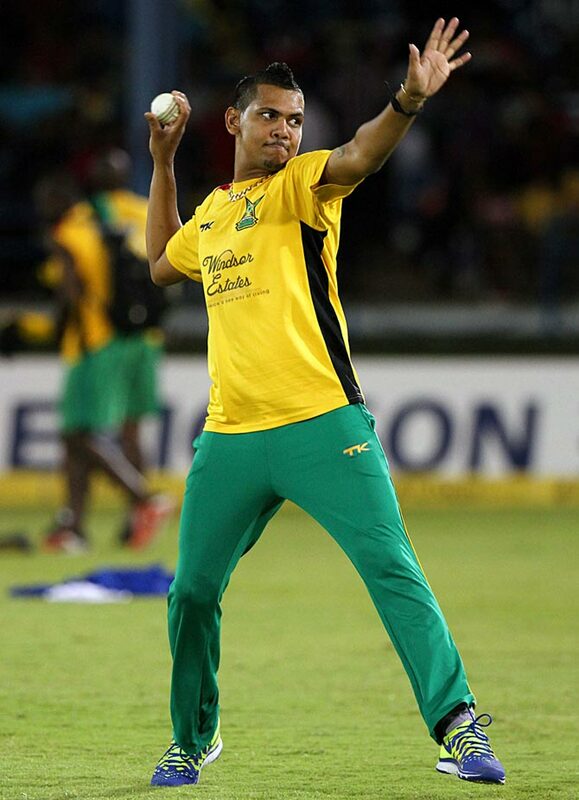 The Caribbean T20 champions will be banking on mystery spinner Sunil Narine to work his magic in India, something he has done so successfully for Kolkata Night Riders in the IPL. With West Indian legend Brian Lara travelling with the Trinidad team as mentor, you cannot rule out their chances despite the dearth of top international stars. Squad: Denesh Ramdin (captain), Rayad Emrit, Jason Mohammed, Nicholas Pooran, Sunil Narine, Evin Lewis, Samuel Badree, Navin Stewart, Shannon Gabriel, Khesan Yannick Ottley, Adrian Barath, Sherwin Ganga, Lendl Simmons, Ravindarnath Rampaul, Darren Bravo. Sunrisers Hyderabad shocked a few top teams to finish in the top four in IPL 6, which helped them make it to the qualifying rounds of the Champions League. They will be hit by the withdrawal of Kumar Sangakkara, who chose to play for his home team, Kandurata Maroons, which also meant that the in-form Shikhar Dhawan will lead the team in the Champions League. 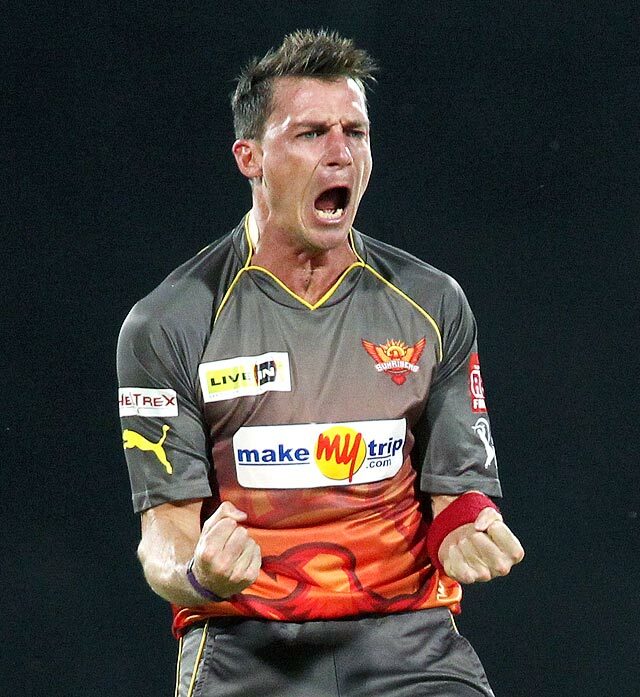 Dale Steyn, who leads the bowling attack, will have good support from Ishant Sharma, Clint McKay and Amit Mishra. Thisara Perera and Darren Sammy are handy all-round players, while Cameron White and Parthiv Patel are more than capable with the bat. Squad: Shikhar Dhawan (captain), Cameron White, Parthiv Patel, JP Duminy, Dale Steyn, Darren Sammy, Biplab Samantray, Thisara Perera, Karan Sharma, Hunaman Vihari, Ashish Reddy, Amit Mishra, Ishant Sharma, Anand Rajan, Clint McKay. Kandurata Maroons won the Sri Lanka T20 competition and made it to the Champions League qualifying rounds. They got a big boost when Sri Lankan batting great Kumar Sangakkara was forced to join their team in controversial circumstances. Lahiru Thirimanne leads a strong batting line-up, also featuring opener Upul Tharanga and Chamara Silva. The bowling line-up also looks quite good, with the spin duo of Ajantha Mendis and Suraj Randiv capable of running through batting line-ups on their day. Squad: Lahiru Thirimanne (captain), Nuwan Kulasekara, Upul Tharanga, Thilina Kandambhy, Kumar Sangakkara, Shehan Jayasuriya, Chamara Silva, Milinda Siriwardana, Dilhara Lokuhettige, Dhammika Prasad, Ajantha Mendis, Kaushal Lokuarachchi, Lahiru Jayaratne, Dhananjaya De Silva, Suraj Randiv. Faisalabad Wolves will be happy to have even made it to India for the Champions League after their visa was sanctioned last minute. Misbah-ul-Haq leads an inexperienced team, which will rely heavily on ace spinner Saeed Ajmal. They will be happy even if they make it past the qualifying round. Squad: Misbah-ul-Haq (captain), Asif Ali, Ali Waqas, Khuram Shahzad, Muhammad Salman, Waqas Maqsood, Samiulah Khan, Asad Ali, Saeed Ajmal, Ehsan Adil, Hassan Mahmood, Rana Jahandad Khan, Farrukh Shahzad, Imran Khalid, Ammar Mahmood Khan. New Zealand's Otago Volts have played in the Champions League before, in the inaugural edition in 2009. They will be relying mainly on Brendon McCullum’s batting, in the company of Aaron Redmon and Hamish Rutherford, while Ryan ten Doeschate is a handy all-rounder. Squad: Brendon McCullum(captain), Nicholas Beard, Michael Bracewell, Neil Broom, Iain Butler, Mark Craig, Jacob Duffy, Derek de Boorder, Nathan McCullum, James McMillan, James Neesham, Aaron Redmond, Hamish Rutherford, Ryan ten Doeschate, Neil Wagner.